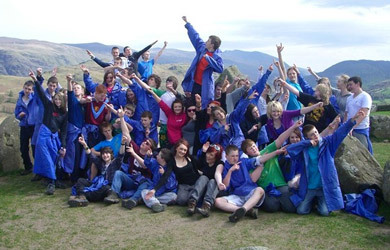 The Youth Service for the Roman Catholic Diocese of Lancaster, based at Castlerigg Manor at Keswick, has provided high class residential retreat experiences for young people for over forty years. It is served by a dedicated team of young people and professional staff and managed, in the name of the Bishop and Trustees, by the Youth Service Management Group. Besides work with school groups, the centre offers a range of open retreats for young people, families and parishes throughout the year, and members of the team also go out to schools and parishes to serve and support the local Church at specific events and on missions. To help the young people of our schools, colleges and parishes to grow in a personal relationship with Jesus Christ as his disciples in the Church. To enable the full participation of young people in the life and mission of the local Church. 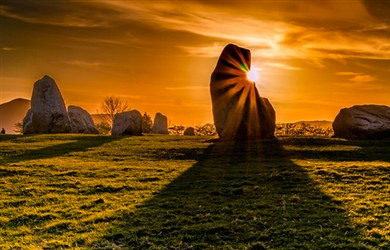 To encourage and nurture the growth of the whole person, with prayer and spirituality as the basis for all human development. To provide attractive and safe environments in order to develop successful inter-personal relationships which will provide our young people with clear and engaging examples of discipleship, service, ministry and leadership. The Service wants to see all young people grow in faith and confidence, helping set them on a firm foundation for the future. 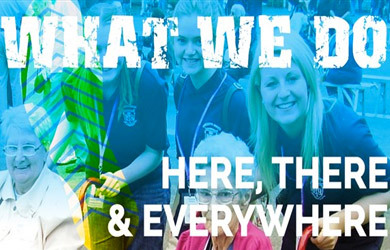 Among the many events organised for young the people by the Church, the Youth Service coordinates the diocesan participation in World Youth Day. 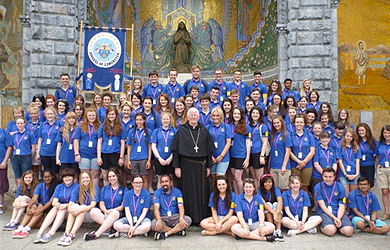 Besides, each year the Service assists in the organisation of young people from our Diocese joining the annual Diocesan Pilgrimage to Lourdes especially by assisting the sick and pilgrims requiring assistance.